Did you know that MRAH encourages those who want to learn about veterinary medicine to come learn with us? From the elementary aged, to adult students in veterinary school, our doctors do what they can to help mold potential future veterinarians. We welcome job-shadowers from elementary schools, high schools, trade schools, pre-vet college students, and veterinary students. With our help, these students are able to immerse themselves in the field, and help them to learn and decide if veterinary medicine is right for them. Throughout the year you may see a student tagging along with one of our doctors trying to learn as much as they can about the veterinary field. Call our office today if you would like more information on our mentoring opportunities! 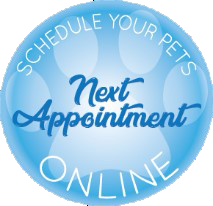 We not only work with your pet but are proud to work with a few local pet service organizations as well as rescue groups. We help in a variety of ways including helping provide medical care for needy pets and donations of goods or services for their charity events. We are proud to support these excellent pet organizations. Check them out; you may find your new best friend waiting for you at a couple of them! Helping PAWS is dedicated to improving the lives of animals locally, and nationally; alleviating their suffering and elevating their status in society through the rescue and rehabilitation of animals in need and through the education of their community on responsible pet ownership and animal welfare, advocating the value of all animal life, in hopes to end the neglect and abuse of all animals and to end the devastating pet overpopulation through spay and neuter advocacy. TheraPets of Indiana is a non-profit corporation formed to provide animal-assisted therapy and activities in hospitals, nursing homes, school and home settings. Currently, TheraPets is most active with St. Vincent Hospital, in Indianapolis, where the dogs are on-call 7 days a week, 24 hours a day. Our mission is to ensure that every Westie finds his or her forever home, and that no Westie is ever left behind. Dogs are fantastic companions, but they can be more than just family members. When life presents itself with difficult challenges, our furry companions can lend a paw and assist with many daily tasks, including detecting changes in your sugar level or getting help in case you fall. Our goal is to find permanent loving homes for Brussels Griffons and Affenpinschers in need; most having spent their lives in commercial breeding facilities & who will have a better chance at life through our efforts.